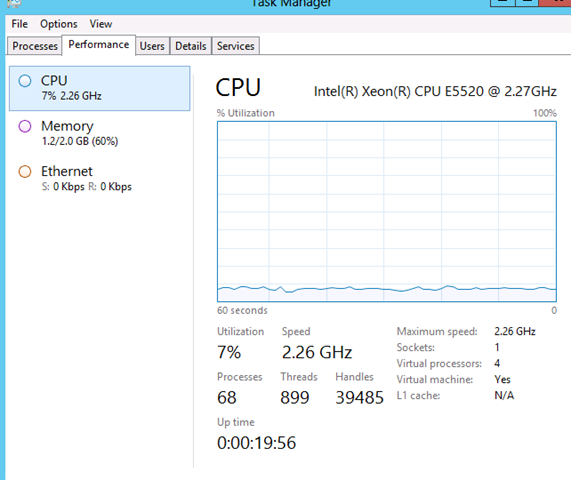 Windows Server 2012: Where are all my processors? I haven’t worked a ton with Windows Server 2012, but recently while debugging an issue for a client relating to performance on a Hyper-V hosted VM, I was stumped why I was only seeing 1 CPU when I had added 4 vCPUs to the VM. First, I was able to confirm that the Guest OS was seeing all 4 CPUs by looking in Device Manager. 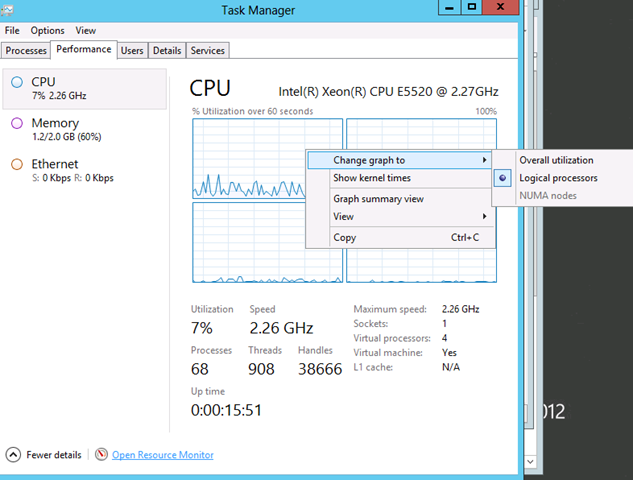 By right clicking on the CPU graph and selecting Change graph to… Logical processors you can see all the CPUs.